As a life-safety system, we take the design of your fire protection system very seriously. Every building has different needs based on its construction and vulnerabilities, and contents. 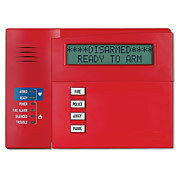 Hawkeye Security and Electronics takes the extra effort to design a system that properly fits your needs. 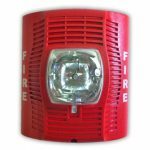 Commercial Fire Sprinkler System design often includes: Smoke Detectors, HVAC interface, sprinkler system monitoring, manual pulls stations at exit doors, and notification devices (Horn/Strobe Units). Our addressable smoke detectors are individually annunciated at the control panel and to the monitoring station. In other words, you know where the fire is located in your building–now that is smart. As time passes, smoke detectors will inevitably accumulate dust inside their sensing chamber. This can lead to false alarms, or worse: failure to detect a true fire. 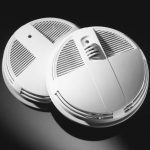 Our 5192SDT smoke detectors include a self maintenance feature that allows them to self compensate for minor dust accumulation. Additionally, if they get too dirty to self compensate, they let you know that they need to be cleaned – before causing a false fire alarm. Our systems always include the ability to expand in the future. We realize that you would like to see your business grow. We design our systems so that when you’re ready to expand, your existing system will be ready.